Top 10 Traits of Effective Coaches - Are You a Boss or a Coach? You may think there isn’t much of a difference between a boss and a coach, but any member of a winning team will tell you it’s the coach that makes the difference. Coaches win games, bosses rarely look up from the playbook. If you spend all your time planning your restaurant’s success instead of coaching your team to achieve it, your competition will take over before you know it. Check out these 10 differences between a boss and a coach. Bosses overlook the true beneficiary of their leadership. Coaches know that the way they treat their employees is the way their employees will treat their guests. A boss gives orders. A coach seeks feedback and listens more than they speak. A boss tells employees how to work harder. A coach shows employees how to work smarter. Bosses expect commitment under all circumstances. Coaches understand that they must create a hostile-free work environment in order to inspire loyalty. A boss ignores conflict until it becomes a crisis. A coach works to effectively resolve conflict and create stronger teams. Bosses resist change. Coaches manage and implement change effectively. A boss is on a self-serving mission. A coach moves people together toward a common mission. Bosses devalue practice. Coaches invest time and money in employee training. A boss reactively copes with teamwork challenges. A coach proactively works to uncover vulnerabilities within their teams. Bosses use fear and authority to get their teams to perform. Coaches use trust and accountability to get their teams to succeed. Keep in mind that it’s not one thing you do to be a coach instead of a boss. It’s doing your best to exemplify all the traits of a coach that will make you the leader of a winning team. The Service That Sells! 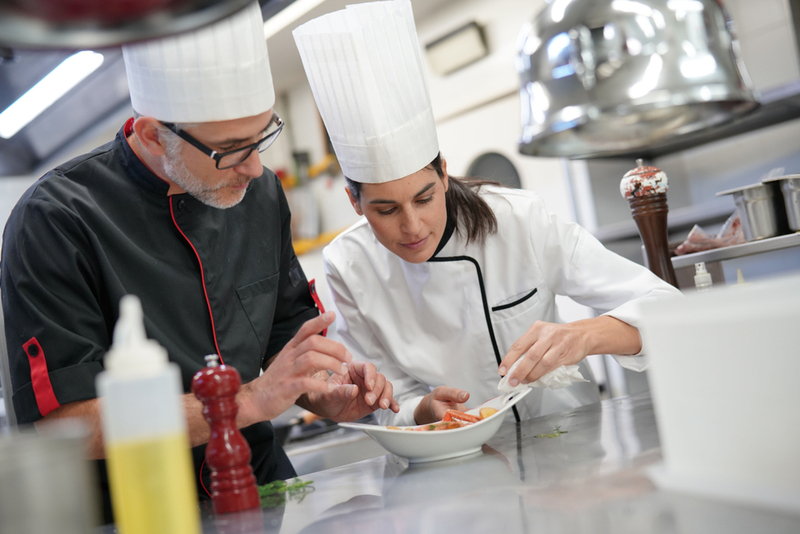 online training library includes our staple service and sales restaurant training as well as topics covering safety, compliance, food safety, back of house procedures, and much more. Click here for more information.